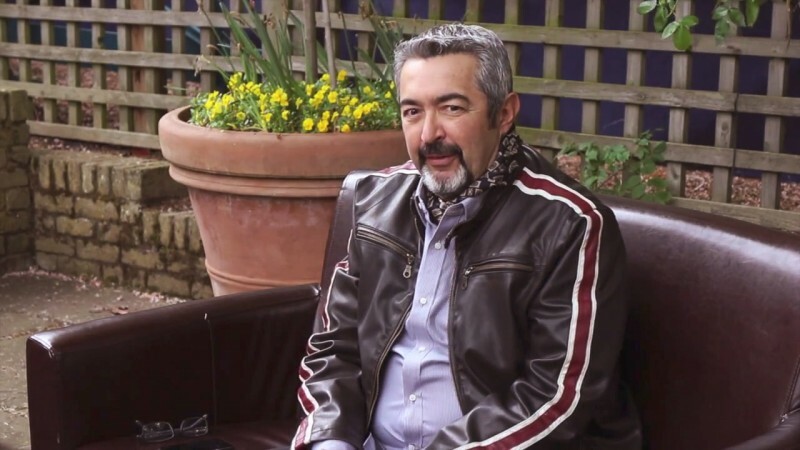 24 UK Podcast had a 40 minute sit down interview with Jon Cassar in London recently. Watch the video here and read his five most interesting responses below. “Actually it was really funny. Useful Company does all the graphic work for us, they’ve done the Bourne movies and other big pictures, they’re the ones that put it together. And basically it’s off the internet, that’s the best part. It’s not like we kept track of that – it’s the 24 Wiki or they pulled it off somewhere which I just thought was funny. Fantastic interview. As for the kill list and Jack Bauer’s file, I wish someone had noticed they spelled Graem wrong. I can forgive some of the other smaller mistakes though, as they’re pretty hard to spot anyway. Glad Jon can direct the season finale again. I assumed the time jumps would be full hours, sounds like it might start in the middle of the hour. Jon Cassar is a nice enough fella, but a complete and utter hack when it comes to directing. His absence in Season 8 was a real positive for the show. His claims that season 1 looked too cinematic and that 24 shouldn’t be about sights and buildings really fucked me off. Funny you say that, XAM. I thought Stephen Hopkins did a marvelous job on Season 1 and there were numerous aerial shots throughout that season. Season 8, which didn’t feature Cassar, was very similar. Milan Cheylov is really good, I think. 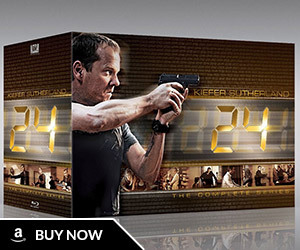 Stephen Hopkins was absolutely brilliant, as was Brad Turner, Milan Cheylov and Tim Iacofano who all made episodes that truly gave 24 a cinematic feel. I always seem to prefer episodes that aren’t directed by Jon. Going over the most visually stunning episodes in my mind (3x18 for example), I just checked out that none of them were Jon Cassar episodes. Fox must have made Jon their default director to save money, ‘cos his episodes always look so downbeat and cheap. Y’know, XAM dude, when you direct over 60 episodes of an enormously-popular television series, both are nominated and win Emmys for your work, not to mention direct episodes of other television series very effectively, then you can feel justified to gratuitously insult Jon Cassar like you did… until then, for God’s sake, act your age and stop behaving like a petulant, opinionated child. Jon Cassar’s answers do have a sense of finality to them; “finish it off”… “last shot of jack Bauer”… this really could be it by the sounds of it, folks! Out of the 5 Q&A’s, that part bothers me – only because of this recurring ‘doom-and-gloom’ and strong suggestions from Kiefer and now Cassar that this revival apparently was always planned to be a swan song, farewell tour and nothing more. Like many of reactions, if that was the game plan, then I almost wish they didn’t hype it in the positive way they did when the news first broke about it returning. All of the quotes amounted to one big cumulative teaser to seduce fans with the notion they would be brought back to happier times when the series was a regular and that the producers / writers had all these new motivations with the format, storyline pacing and European setting to inspire a 2nd life for the show that would go beyond 1 extra season. Instead, if this ends up being nothing more than a 12-episode last gasp of air, it seems like a big anti-climactic exercise in torturing fans by reminding them of what they had, letting them get a sniff, only to take it away again. It would have been more honorable to qualify right away last spring when the news broke that no one was wanting or planning this current season to be any more than a 12-episode movie perse in a kind of a tribute/reunion mode. For them to start acknowledging that direction now after the season has already begun kind of dampens the enthusiasm in watching IMO and leaves a bittersweet aftertaste. 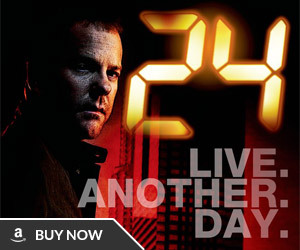 That’s my fear, Mary; executive producer Brian Grazer said in an interview last year that ‘Live Another Day’ is a limited event series “that would itself spin off into a new series”… with hindsight, that sounds like they were/are maybe considering keeping ’24’ an ongoing thing but with Kate Morgan as new lead. That may have been their original plan, but if ratings continue to slide week on week, it’s not gonna happen, at this point I’d be doubtful it’ll happen anyway… I sure hope not, it would be SUCH a bone-headed move, ’24’ without Kiefer isn’t ’24’, it really is that simple. I’m too good looking to be a director, and have an aversion to wearing caps and bomber jackets. As strong and (arguably) unfavorable as his views might sometimes be, Gerry, it’s not like XAM is insulting anyone here. I don’t think you have to be a director yourself to make a comment on another director’s body of work. These people open themselves up to criticism by providing their work to a diverse audience. Honestly, I think there’s something to be said about Cassar’s work in comparison to other directors who have worked on ’24’. I wouldn’t call him a ‘hack’ exactly, but his insistence on the show being almost exclusively gritty rather than cinematic could be viewed as a negative. I think Cassar is a very talented director that has a great understanding of the series, but I agree on this particular point. I loved all of the cinematic aerial shots and establishing shots from the first season and was very disappointed when I listened to the season 2 audio commentaries where Cassar said that he specifically avoids all of that stuff. One example I remember off the top of my head was right after Richard Walsh was killed and Jack hops in his car and speeds down the freeway. The camera switches to a first person view from inside the vehicle and Hopkins makes the viewer feel as if they’re actually driving the car and speeding through red lights. Then it pans out a bit to show the car weaving through traffic, and then pans out even further to show the whole freeway with a beautiful aerial shot of Los Angeles at night. In later seasons that would’ve just been a closeup of Kiefer’s face as he sat in a stationary car with a green screen behind him. Much faster and cheaper to film I’m sure, but it’s just not the same. That extra bit of polish is why I love the first season so much. I agree! But what they did in Season 1 was kind of on the cheap too – if you watch, all of the aerial shots throughout the season are of the same car driving down the same two roads, but cut together cleverly with different angles to fit in throughout the season. Interesting. I’ve never noticed that, something that I’ll look out for next time I rewatch Season 1. Another one I loved was the episode that started with a traffic report in a morning news helicopter. I think it was one of the Davis Guggenheim episodes that Gerry mentioned above. Not only did it give us some cool aerial shots but it was a really clever and natural way to recap the audience about what happened to Palmer in the previous episode(s). These types of aerial shots showcasing a heavily populated city would’ve fit even better in Season 2 (and beyond) considering the larger scale threats. If you listen to the audio commentary on the Season One dvd you will hear Stephen Hopkins and Peter Levy explain that when they photographed the aerial shots at night, there was a problem with the lens they were using. Therefore they had to discard many of these shots and make do with the remaining ones (reusing them where necessary). As a side note they had to push the film stock to 1000 ISO to gain the correct exposure. 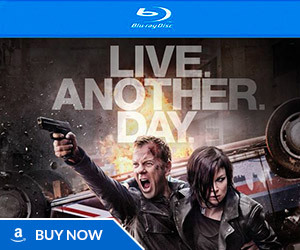 More “24″ television movies seem to be a really nice idea if LAD has to be the last season. I just get the sense that he only feels like it’s 24 if he gets to do it his way. I recall him hating on the eighth season a lot. It kind of bugged me, because it came off as if he was just bitter that he didn’t get to have a part in it. Yes, I’ve long detected a sense of ownership on Cassar’s part. Some interesting opinions above. I’ve always felt that Stephen Hopkins never received the credit that he deserved for this show. He was responsible for casting the main players in season one, (apart from Carlos Bernard) including Kiefer who is an old friend of his. He created the look and tone of the show along with his regular DOP Peter Levy on the pilot and Rodney Charters thereafter. He made sure they shot on 35mm film rather than going down the digital path. He wanted it to look cinematic. He’d seen The Boston Strangler and thought the idea of using split screen would work. If you’ve listened to several interviews with other department heads on the first season you’ll also realise that he was the one fighting battles on the front line with Fox to make sure the show was always the way they wanted it. Hopkins had shot twelve episodes of the first season before Jon Cassar came on board to direct, so the groundwork had already been well established. And that finale in Season One, nothing like that had ever appeared on television before. What originally started out as a thriller has gradually become standard action fare over the years, which is a shame.